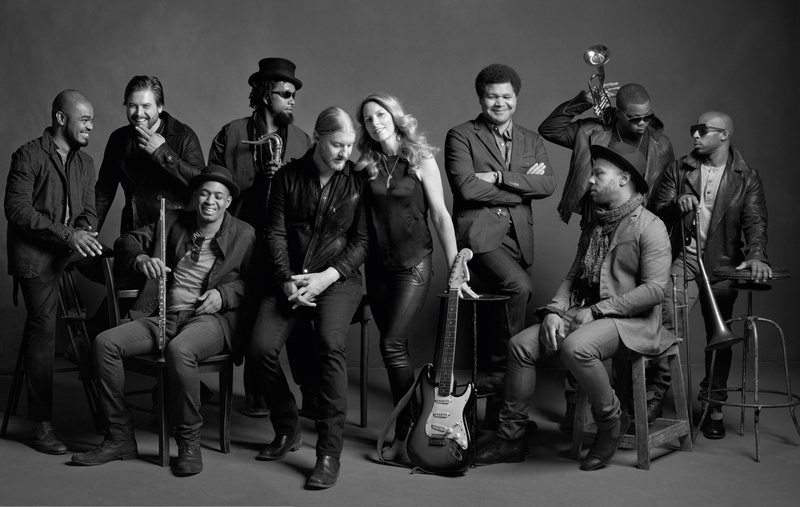 The blues rock group, Tedeschi Trucks Band will return to the F.M. Kirby Center on Thursday, February 8 at 7:30 p.m. Praised by reviewers for their “joy-filled blast of blues, soul and rock” (Philadelphia Inquirer) and “stellar musicianship” (Denver Post), TTB is a touring juggernaut, on the road over 200 days a year and never playing the same set list twice. Their latest release, Live From the Fox Oakland, (2017) – a CD and film – was recorded in a single night at a show that fans and band members all regard as one of their finest performances to date. For Trucks and Tedeschi, the fall night in Oakland represented a perfect opportunity to document the progress the band has made since its inception in 2010. “It really feels like we are hitting our stride and firing on all cylinders,” says Trucks. The double disc live recording showcases the band’s ability to move seamlessly from blistering rock and blues to soulful ballads and includes their take on classics from Derek and the Dominos, Leonard Cohen, and even Miles Davis among TTB’s original songs. The film also gives a behind the scenes look at the band on the road, and includes footage from recent interviews with WFT! Podcast host Marc Maron and Rolling Stone critic David Fricke.